. 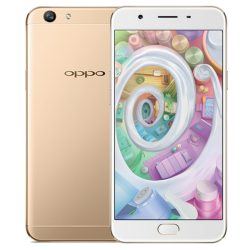 :: All OPPO Firmware Direct Download Here ::..
1. Connect the phone to your computer via USB. 2. Copy the firmware upgrade package into your phone. 3. Turn off the phone. 4. Press and hold the Power and Volume Down buttons to enter recovery mode. 5. Select “apply update from sdcard" by navigating using the Volume buttons and and using the Power button to confirm. 6. Use the volume keys to navigate and the power key to select and confirm. 7. Select “reboot system now" after the installation finished. 2. Copy the firmware upgrade package into the root folder of your phone. 3. Open the System Update app found in the Tools folder (or go to Settings > General > About phone > System update). 4. Tap “Local upgrade" to select the upgrade package. 1. Open the System Update app found in the Tools folder (or go to Settings > General > About phone > System update). 2. Tap "Check for updates" and follow the on-screen instructions. Since we'll stop updating the old Find 5 firmware and focus on Color ROM, the Bug Reports and Suggestions forums for the old firmware are no long open for more new threads. Complete package - Will wipe user data! WARNING:All your contacts, SMS and previously installed applications including their data will be lost when updating with the complete package! Your files such as photos and videos will remain untouched. Please make sure you backup before upgrading! If you prefer to keep your current settings, please install the OTA version! The APN settings added manually will get lost after updating, because we added the APN settings for some operators of Thailand.